A 12-Episode Marathon Streaming on July 31st! Shout! Factory TV’s ad for this upcoming 50th marathon event. 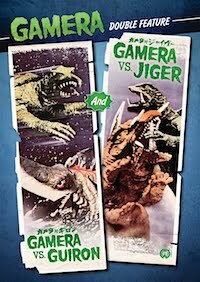 Celebrate the 50th Anniversary of ULTRAMAN this Sunday! 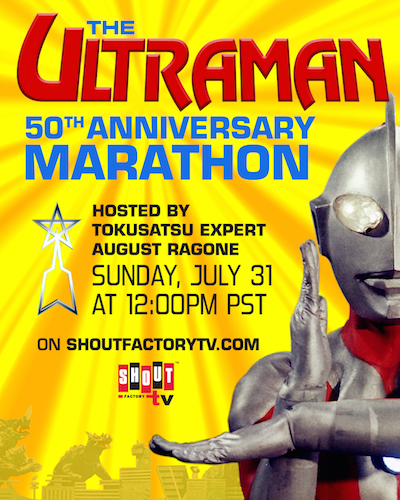 On July 31st at Noon Pacific, I'll be hosting "The Ultraman 50th Anniversary Marathon" on Shout Factory TV. 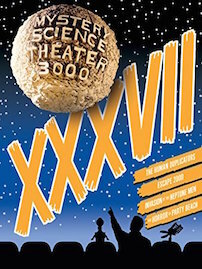 I've hand-picked 12 of my favorite episodes for this live, streaming tribute for my favorite teleseries of all time. 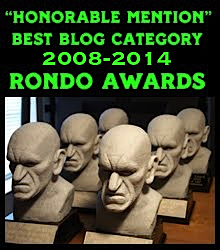 In addition to an informative intro on the series, at the top of each episode, I'll share anecdotes, factoids, on the specific stories, and a whole lot more! This only happens once every 50 years, so be sure to watch all the Ultra action on Shout Factory TV and on Pluto TV (Channel 515) or get the Pluto TV app for tablet and TV devices (Roku, Amazon Fire, Fire TV Stick, Android, Chromecast, and Apple Airplay), mobile (iOS, Android and Amazon), and on the web via your Desktops or Laptops, Macs and PCs. And don't forget to join us in the Ultra Twitter convo with the hashtag #Ultraman — SHUWATCH! 12:15 pm – Episode 01: "Ultra Operation No. 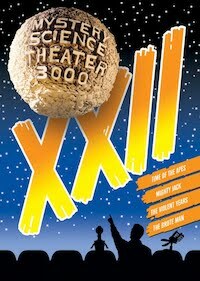 1"
12:45 pm – Episode 03: "Science Patrol, Move Out!" 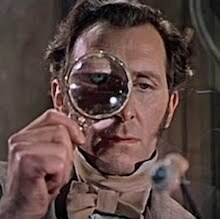 01:10 pm – Episode 07: "The Blue Stone of Villarge"
01:40 pm – Episode 15: "Terror of the Cosmic Rays"
02:10 pm – Episode 16: "Science Patrol Into Space"
02:40 pm – Episode 17: "Passport to Infinity"
03:10 pm – Episode 25: "Cyphon, the Mysterious Comet"
03:40 pm – Episode 27: "Monster Majesty"
04:00 pm – Episode 28: "Human Specimens 5 & 6"
04:30 pm – Episode 33: "The Forbidden Words"
05:00 pm – Episode 36: "Arashi, Don’t Shoot!" 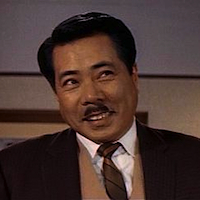 05:30 pm – Episode 39: "Farewell, Ultraman!" "SHIN GODZILLA" IS COMING TO THE AMERICAS! Funimation's tweet from Comic-Con International, yesterday. After much speculation on who and when Toho's upcoming GODZILLA RESURGENCE would come to America, it was announced on Thursday at Comic-Con International in San Diego that the distribution rights were acquired by Dallas-based Funimation Entertainment. Instead of just North American rights (US and Canada), the agreement includes North America, Central America, South America and the Caribbean. They noted the film will begin NA screenings before 2017. 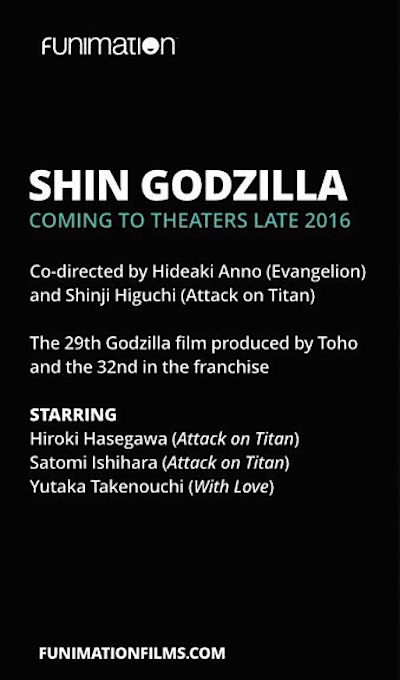 Officially, Funimation noted that the Hideaki Anno's monster movie will be distributed under the title SHIN GODZILLA, dropping Toho's overseas sales title, GODZILLA RESURGENCE. Now, as is customary in current distribution deals, the 31st Big G film will be theatrically distributed by Funimation Films, with the agreement also including home entertainment, video on demand and broadcast rights for all of the Americas. These will follow the initial theatrical releases. In a press release issued today, Gen Fukunaga, the CEO and President of Funimation said, "Funimation is extremely pleased to be working with Toho to bring SHIN GODZILLA to audiences across the Americas." While not specified at this early juncture, it's unknown whether these screenings will be English Subtitled or English Dubbed. EUROPE: Ireland, Scotland, England, The Netherlands, Germany, Switzerland, Spain, and Belgium. AFRICA: Mauritania, Western Sahara, Morocco, Algeria, Tunisia, Libya, Chad, Sudan, Egypt, South Sudan, Eritrea, Djibouti, Ethiopia, and Somalia. MIDDLE EAST: Israel, Beirut, Lebanon, Syria, Jordan, Iraq, Saudi Arabia, Kuwait, Oman, United Arab Emirates, Qatar, Afghanistan, and Pakistan. ASIA: India, Sri Lanka, Nepal, Bangladesh, Bhutan, China, Hong Kong, Myanmar, Thailand, Laos, Vietnam, Cambodia, Hainan, Taiwan, Malaysia, Singapore, Indonesia, East Timor, New Guinea, The Philipines, and South Korea. OCEANIA: Papua New Guinea and Australia. Please keep in mind that this list is not "final" by any means, as more countries and territories are likely to follow, such as France and Italy. Stay tuned to this blog for further news on GODZILLA RESURGENCE as it develops! Check out the official website (Japanese only). July 18, 2016: New Theatrical Trailer for "Shin Godzilla"
December 10, 2015: The "Godzilla Resurgence" English Poster! December 9, 2015: Scoop! Teaser for "Godzilla Resurgence"
December 9, 2015: Here's Your Big G in "Godzilla Resurgence"! November 12, 2015: "Shin Godzilla" Promo Reel Screens at AFM!" With Hideaki Anno's GODZILLA RESURGENCE less than ten days from release, Toho held a new press conference on the film earlier today in Tokyo. On stage were Director Anno, producer Akihiro Yamauchi, and the film's three leads, Hiromi Hasegawa, Yutaka Takenouchi, and Satomi Ishihara. RESURGENCE has been sold to 100 territories across the globe as of July 19th, with more pending. Conversely, 12 years ago, GODZILLA FINAL WARS was sold to 67 territories, worldwide. Toho announced at the press conference that the film will open in Taiwan on August 12, the Philippines on August 24, Hong Kong and Macao on August 25, and Thailand on September 8th. 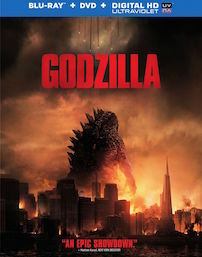 Toho said that after 12 years since the last production, this new Japanese-made Godzilla is likely to cause a whirlwind overseas, as RESURGENCE is released throughout Asia, Africa, Europe, and North America. Yes, inside sources say a NA release may be announced shortly. 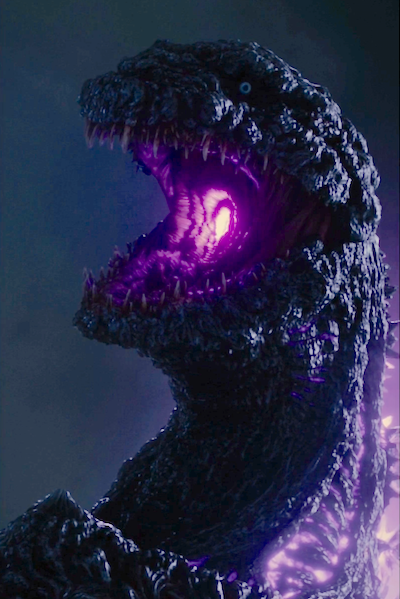 NEW THEATRICAL TRAILER FOR "SHIN GODZILLA"
2nd Theatrical Trailer Teases Purple Death Ray! From the new, impressive trailer for GODZILLA RESURGENCE. 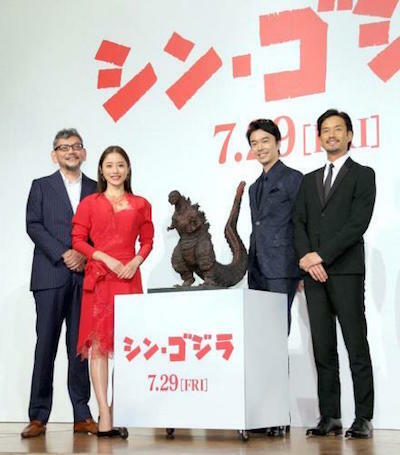 This past weekend, Toho released the first round of TV Spots for Hideaki Anno's upcoming feature film, GODZILLA RESURGENCE (Shin Gojira), which was also uploaded online. Then, on July 18th at 3:00 PM (Japan Time), the studio's YouTube account, Toho Movie Channel, posted the second and final, full-length theatrical trailer for the movie opening July 29th. Three 15 Second TV Spots for GODZILLA RESURGENCE. 2nd Full-length theatrical trailer for GODZILLA RESURGENCE. 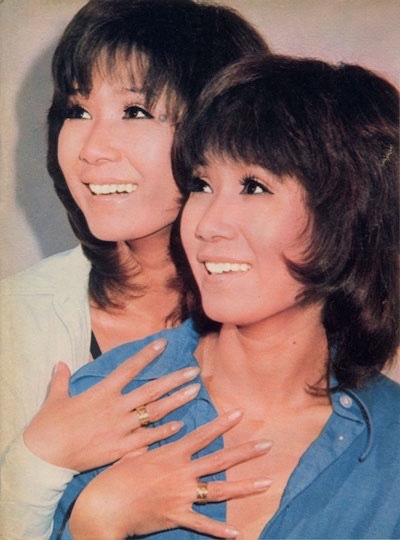 REST IN PEACE: YUMI ITO OF "THE PEANUTS"
Yumi (right) and Emi from the Weekly Yomiuri, September 9, 1972. The sad news was just released that the former singer has now been reunited with her twin sister Emi, who passed away four years ago. 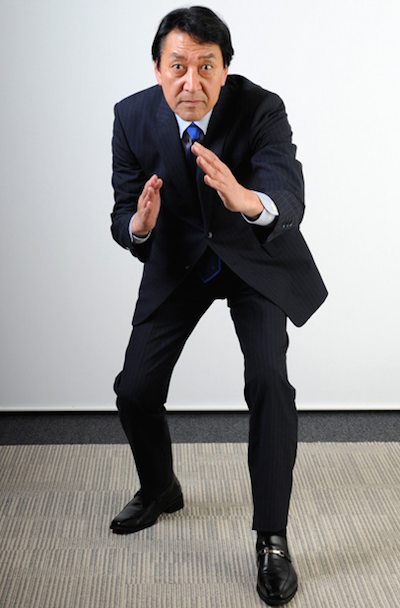 Japanese media traditionally respects the privacy of the families of celebrities when it comes to their passing, so the media withheld this from the public until the family agreed to make a formal statement, and was issued by a representative of Watanabe Productions, their former management company. 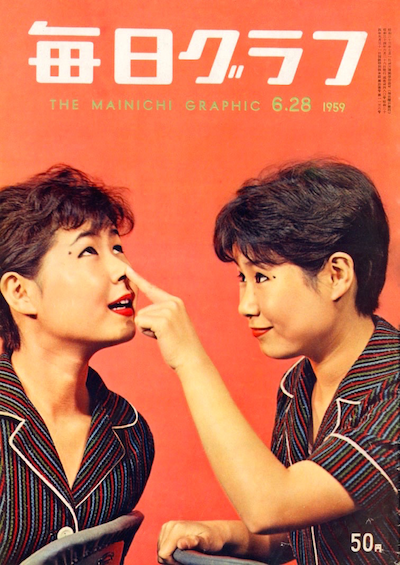 One of their first magazine covers, Mainichi Graphic (June 28, 1959). Yumi Ito (born Tsukiko Ito) was the melodic vocalist of The Peanuts, while Emi, held down the harmonies. 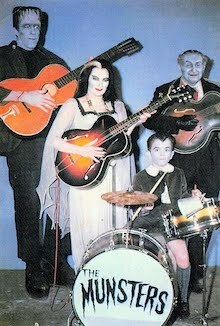 When they started out, the sisters sang the melodies together, until they signed with Watanabe Productions. Even though they were technically identical, the twins could be readily told apart as Emi had distinctive, trademark moles by her eyes. During their early career, Yumi would have false moles applied, so they would appear more identical. Their debut 45 Single, "Kawaii Hana", released April 1959. From the years 1959 through 1975, they were known as the world-famous pop duo, "The Peanuts". 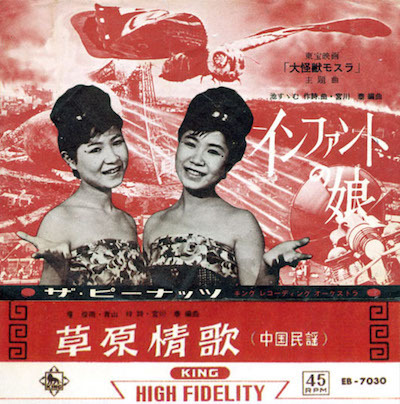 Discovered as "The Ito Sisters" in a Nagoya restaurant, they released their first hit single, "Kawaii Hana" (Pretty Flower) in April 1959, a lyrical version of Sidney Bechet's "Petite Fleur". 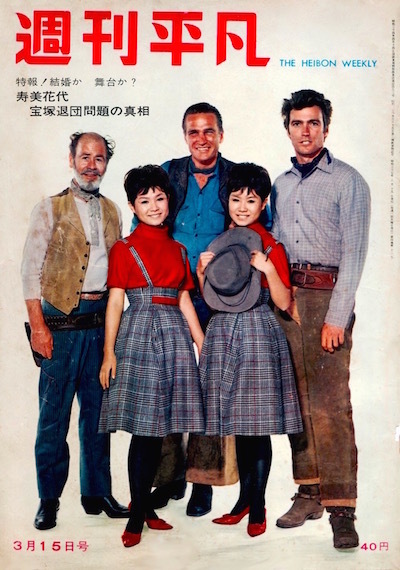 Between that July and December, they appeared in five films for as many studios, debuting in THE WONDERFUL AGE OF 19 for Shochiku and BASTARDS IN A CAGE for Toho. The original Single for "The Daughters of Infant", issued in 1961. 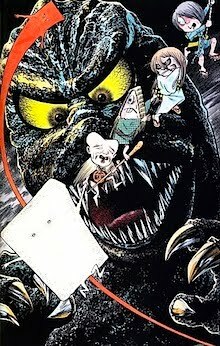 While they are perhaps best known in the States for Toho's spectacle, MOTHRA (1961), by the time Ishiro Honda's film went into production, The Peanuts were already veterans of seventeen feature films, two weekly television variety shows, and a weekly radio show. 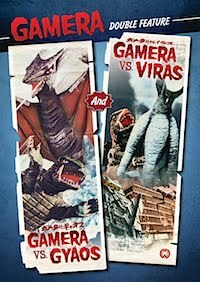 They would reprise their role as the "Little Beauties" for MOTHRA VS. GODZILLA and THE GREATEST BATTLE ON EARTH, both released in 1964. Further appearances of the "Little Beauties" employed pale substitutes. First issue of "The Song of Mothra"/"The Daughters of Infant", 1978. 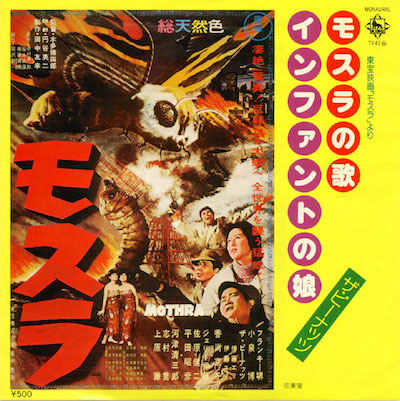 While the song, "The Daughters of Infant", was the first Single release in conjunction with MOTHRA, back in late 1961, it wasn't the original recording from the movie. 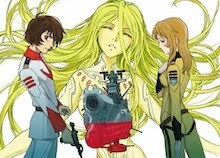 The Single was arranged and conducted by Hiroshi Miyagawa, their constant collaborator, who went on to world fame for his music to the Space Battleship Yamato franchise. Both of the songs from the film, by Yuji Koseki, weren't issued on any release until 1978 — three years after The Peanuts retired. With the cast of "Rawhide" (Brinegar, Fleming, and Eastwood), 1962. The Peanuts were my first introduction to Japanese pop music, which was only reinforced by my Aunt Camille, who gifted me a big stack of colored wax of early '60s J-Pop, bought while she and her husband were stationed in Japan. She saw my obsession with Japan and made it grow with these 45 Singles. But, The Peanuts are magic, their vocal harmonies during the final curtain in MOTHRA, still raises goosebumps on me to this day. Now, I can't believe they're gone. 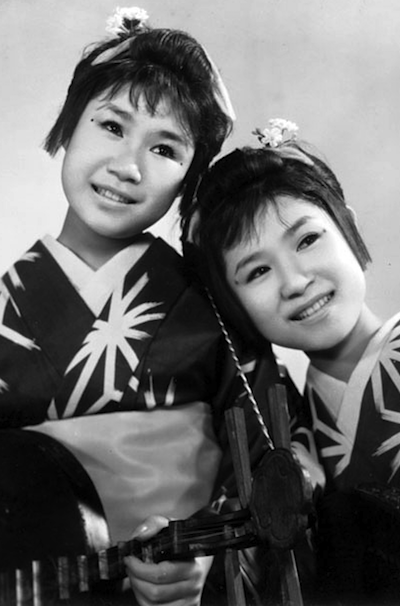 Yumi (left) and Emi in Daiei's musical LEAPING LADY DAIMYO, 1961. After retiring from singing in 1975, Yumi turned her career towards another passion: fashion design. And while the women whose voices sang, beautiful, wondrous melodies and harmonies, have left us to be joined together in the next world, those of us left behind still hold now the incredible gift of their lovely voices recorded for all and our posterity to come. Yumi Ito was 75 years old. 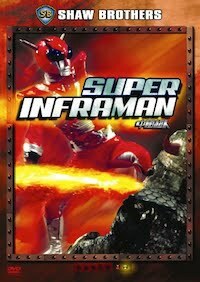 The Episode of ULTRAMAN You Never Saw! The completed final draft script for the half-hour preview special. 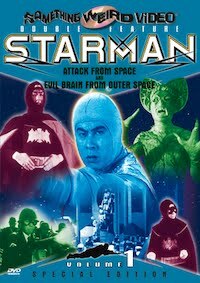 Before the scheduled premiere of ULTRAMAN on July 17, 1966, the TBS network proposed to bump up the broadcast date of the first episode ("Ultra Operation: No. 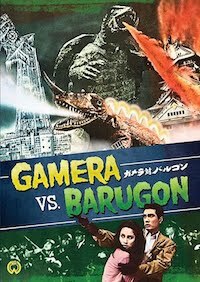 1") a week early, since the rival Fuji Television network were debuting their own color kaiju series on July 4th: AMBASSADOR MAGMA (which would beat Tsuburaya Productions’ show to the airwaves by nearly two weeks). 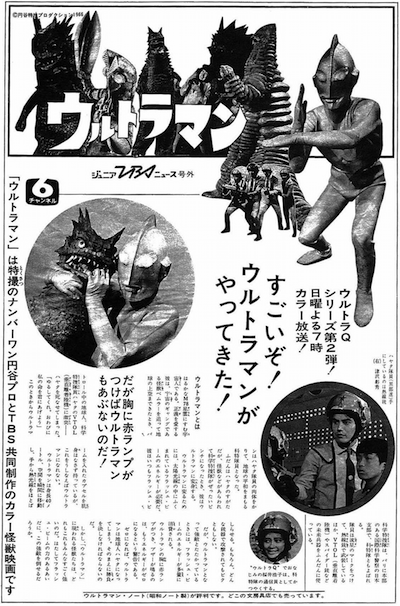 Eiji Tsuburaya told TBS that there would be no way to get the first episode on-air by the 10th, since the episodes were being shot out of sequential order and ULTRA Q was set to air its final episode on July 10th. 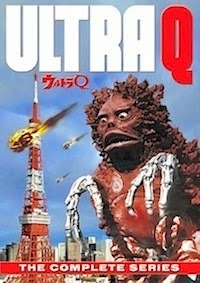 Unfortunately, since it featured nary a monster, TBS already decided to pull the final episode of ULTRA Q, "Open Up!" 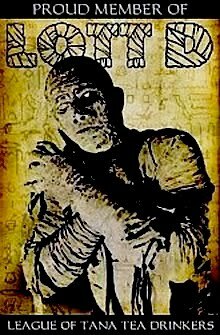 (eventually broadcast in rerun on December 14, 1967). 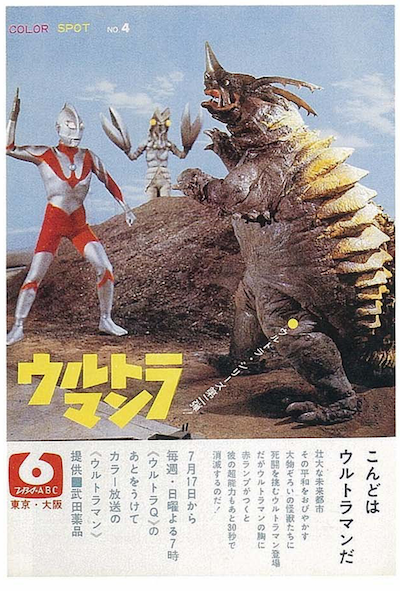 So, at the beginning of June, TBS began considering options to cover the gap and give the Tsuburaya Productions the time needed to finish the premiere episode of ULTRAMAN. 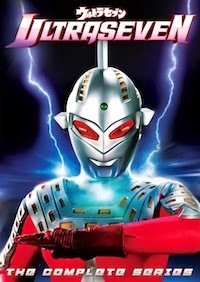 Then, after meetings between the network, Tsuburaya, and the sponsor, Takeda Pharmaceuticals, it was decided to produce a live, nationwide relay broadcast on July 10th and introduce Ultraman to the Japanese public. 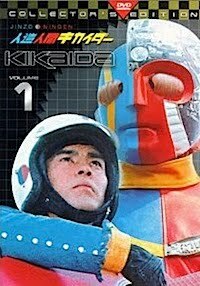 Tentatively titled the "Ultraman Eve Festival", TBS Producer Takashi Kakoi, director Akio Jissoji (of "Modern Leaders"-fame), and writer Yuzo Higuchi (who was in charge of production on Ultraman from the TBS side), were appointed to supervise this live television special. The producers chose Tokyo’s Suginami Public Hall to host this television event. 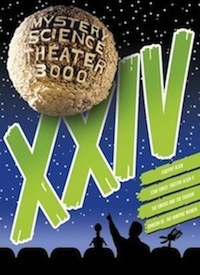 Through a number of brainstorming sessions, Kinjo completed a preliminary teleplay, in which the three characters from ULTRA Q would appear on stage to bid their farewells to the audience. 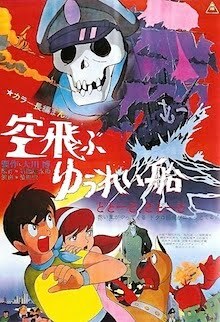 They planned to have actor Koji Ishizaka (Ultra Q's narrator) and popular singer Judy Ong appear as hosts, with the vocal group, The Bony Jacks, as the chorus singers for the special. 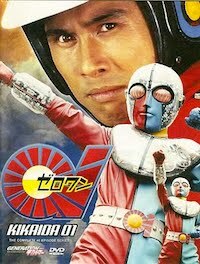 Tetsuo Kinjo wrote a revised second draft from the first, entitled "Ultraman: A Children’s Jamboree". 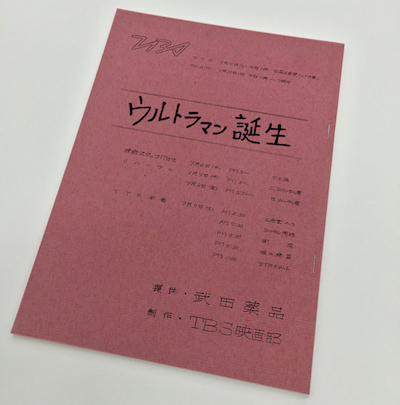 Finally, after a third draft, dropping most of the early ideas (due to scheduling conflicts), the script was completed with the final title, "The Birth of Ultraman: An Ultraman Premiere Celebration". This new version, however, was more akin to a strange, high school production. 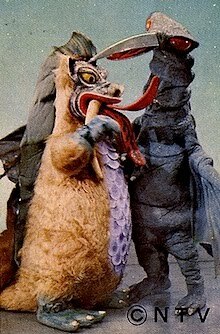 "Doctor Monster" devises a machine to bring back the monsters from ULTRA Q. kaiju are shuttled back and forth, then revolt, and joined by creatures appearing in ULTRAMAN. Anarchy ensues and Doctor Monster calls in the Science Investigation Agency. Even Eiji Tsuburaya was on hand, sitting in the audience like everyone else, before making his on-stage appearance with the cast of the new show. While this was something of a mess, it served its purpose. 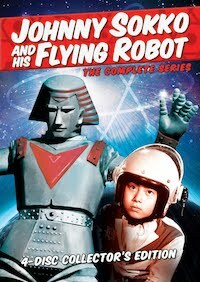 The first episode of ULTRAMAN was delivered to TBS on July 13th, only four days before the initial broadcast, so it can be said that the decision to produce "The Birth of Ultraman" was a success, promoting the start of the series and introducing the characters of ULTRAMAN to the Japanese public, and striking back at Fuji Television. ULTRAMAN's premiere the following Sunday, was a colossal success, and 50 years later, Ultraman kith and kin are still going strong as Japan’s foremost superhero — here's to another 50 years! 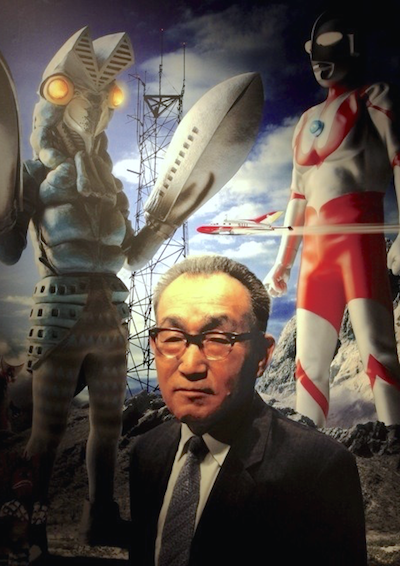 Eiji Tsuburaya, the Father of Ultraman was born 115 years ago! 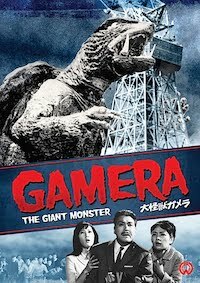 The "Father of Japanese Special Visual Effects" was born on July 10, 1901 as Eiichi Tsumuraya in Sukagawa, Fukushima (according to the family register). 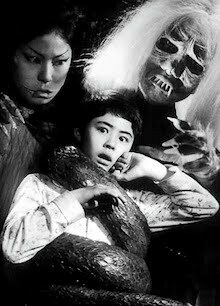 As with his life, even his date of birth is steeped in legend — official sources have often listed that Eiji Tsuburaya was born on July 7th — a date of fortune in the tradition of Tanabata (meaning "Seven Evenings"), a Japanese star festival derived from the celebration of ancestors, know as Obon. Celebrated on July 7th or August 7th, Tanabata commemorates the meeting of Orihime (Vega) and Hikoboshi (Altair). Tanabata originated from the Chinese Festival to Plead for Skills (Oi Xi), which came to Japan in the Heian Period (795-1192), and spread to the public during the Edo Period (1603-1867), where it was then combined with Obon traditions. From the Edo Period, girls wished for better sewing and craftsmanship skills, while boys wished for better calligraphy skills, by writing wishes on strips of tanzaku paper, which were hung on bamboo trees. This tradition is still practiced today. A Japanese claiming they were born on the Tanabata, was akin to an American saying they were born on Independence Day. 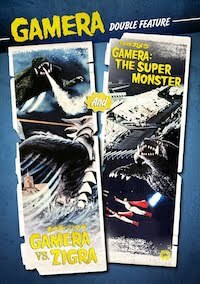 So, even if Eiji Tsuburaya was not born on July 7th, the myth of being born on the Tanabata certainly was apt, because Tsuburaya would become famous for his multiple artistic and practical skills, which he had in spades — and eventually, the name Tsuburaya would become world-renown with the production of GODZILLA (1954). 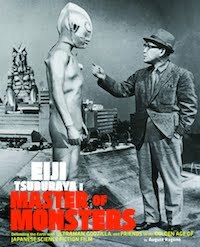 For more on the Old Man, order your copy of "Eiji Tsuburaya: Master of Monsters" (Chronicle Books), today! 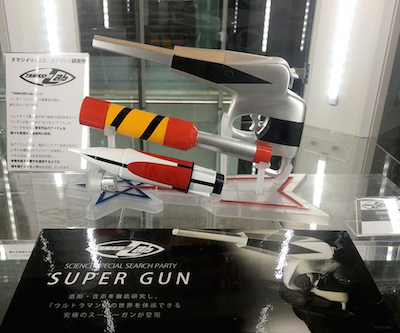 TAMASHII LAB'S SCIENCE PATROL "SUPERGUN"! First reveal teased by Bandai Collectors' Twitter account on July 8th. Tamashii Nations, part of Bandai's Collectors Division, which has had great success with such adult-aimed products in the Tamashii Nations line, has launched a new division, announced at this very weekend's "Ultraman Day in the Suginami Public Hall" (where the "Ultraman is Born" premiere pre-show was held a half-century ago), under the moniker: Tamashii Lab. Tamashii Lab's unveiling of the upcoming Science Patrol Supergun! 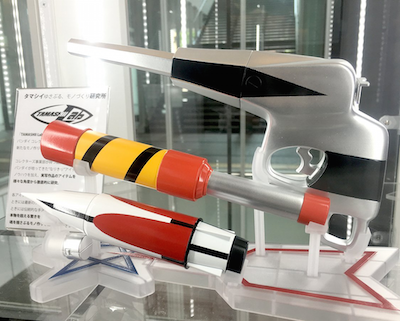 The first project out of their docket was unveiled at the "Ultraman Day" event, the trusty sidearm of the Science Investigation Agency, the "Supergun"! 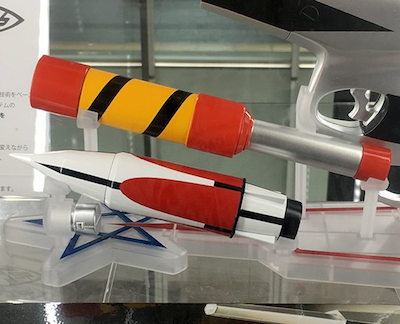 In the photos taken by fans attending the event, and Bandai Collector's Twitter account, this screen-accurate edition of the Supergun will come with two attachments seen in the series: Anti-Gravity Shell and the Balloon Marker. 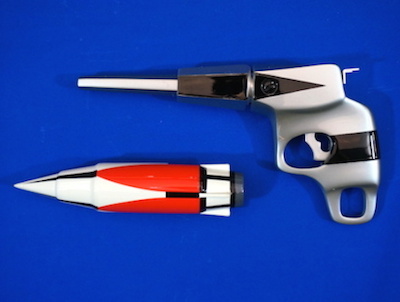 Tamashii Lab's replica of the Supergun with special attachments. With a number of garage kits and cottage industry outfits producing screen-accurate versions of the Supergun over the last few years (most out of resin, fiberglass, polystone, and even metal), and with various attachments, Tamashii Lab's over-the-counter product will most likely be the definitive (and perhaps cheaper) version. 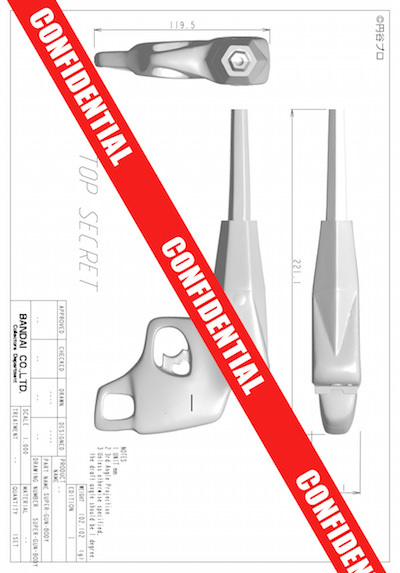 Although they'd better make the rest of the attachments, too. 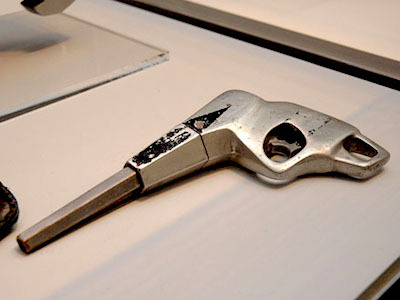 Tamashii Lab's Special Attachments for their pending Supergun. According to the freshman Tamashii Lab's website, "Based on years of advanced modeling techniques that Collectors Division has acquired, Bandai also adds its know-how to develop "most wanted items" from live action productions, exhaustively researched down to the most minute detail. Original metal Supergun prop with all of the paint details worn off. "And each and every time, the concepts will also change. Sometimes using the latest technology, and sometimes employing traditional methods. We aim to make products that will prove more surprising than the real thing." Previous polystone version issued by Stealth Tanaka and A-Toys. As of this writing, the release date for Tamashii Lab's Supergun was announced for December 2016, with the manufacturer's suggested retail price set at ¥12960 ($122 USD). 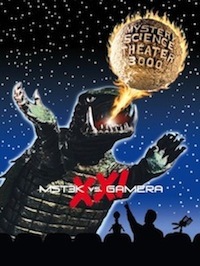 This new diecast Supergun will feature sound effects of the ray emitter, as well as the cries of 40 monsters from the show, and various sound effects activated by the two PVC attachments. I'd say this is a hands-down winner! Demo video featuring actor Susumu Kurobe who played Hayata! CRUNCHYROLL HAS PREMIERED "ULTRAMAN ORB"
50th Anniversary Ultra Series Is Now Streaming! Here's the main English image art for the all-new ULTRAMAN ORB. 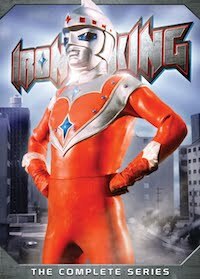 Crunchyroll, the mighty anime streaming service, which announced its aim to expand into more live action titles (or tokusatsu, the term for special effects productions), has already unleashed a plethora of Ultraman upon the US, Europe, and Latin America over the last two years. And on July 8th at 7:00 pm PDT, will begin simulcasting the latest series, ULTRAMAN ORB, in a tandem with the series' premiere on Japanese television for the 50th Anniversary of the franchise. Orb's Spacium-Zephyrion form combines Ultraman & Ultraman Tiga. 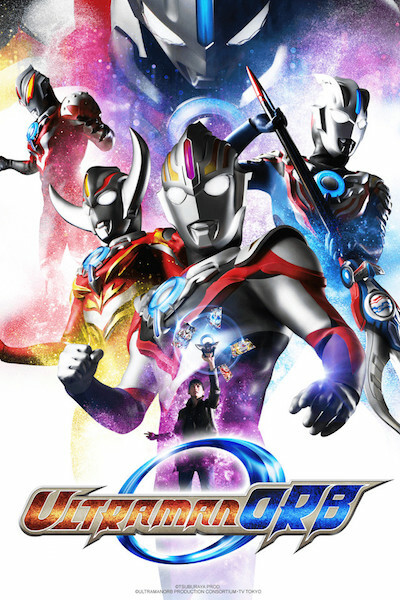 Bowing on July 9th in Japan, ULTRAMAN ORB, produced by Tsuburaya Productions and broadcast on TV Tokyo, will be the first of the recent "Ultra Series" to not produced under the "Ultraman Retsuden" banner. Returning is director Kiyotaka Taguchi (Ultraman X), who promised in an Uchusen magazine interview, that the new series would return the franchise's roots and the themes of traveling a noble path, while still being a fun story. 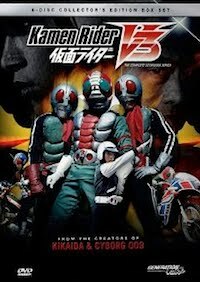 ORB is slated to run 25 episodes. 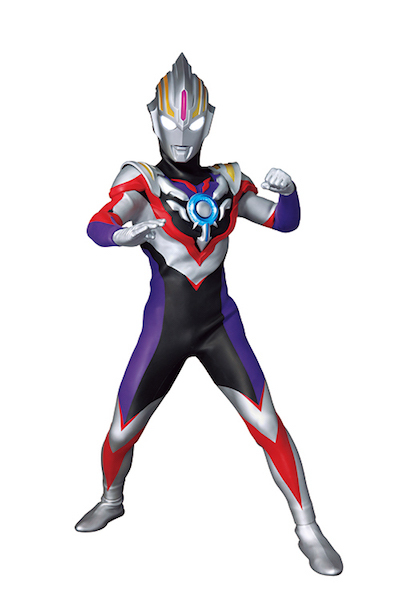 The Hurricane-Slash form combines Ultraman Jack & Ultraman Zero. 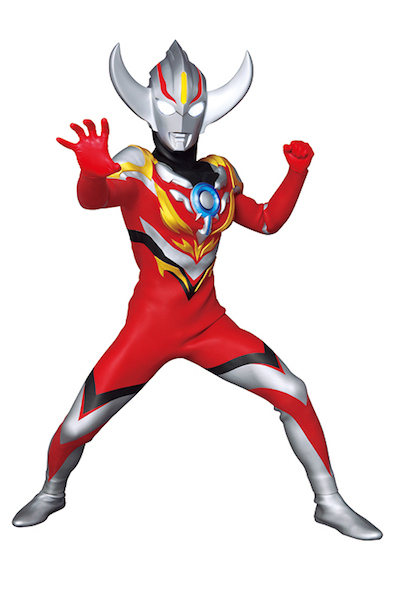 The Burn-Mite form combines Ultraman Taro & Ultraman Mebius. Be sure start watching ULTRAMAN ORB tonight on Crunchyroll at 7:00 pm Pacific Daylight Time, and then join them each and every week for this special simulcast presentation of the latest in the Ultraman franchise — available worldwide (excluding Asia) — same Ultra Time, same Ultra Channel! 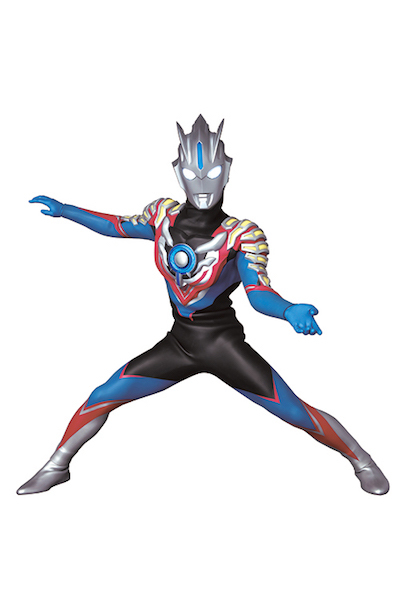 Check out the official Ultraman Orb wesbite (Japanese only), here. 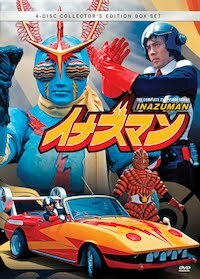 CELEBRATING A HALF CENTURY OF "ULTRAMAN"! 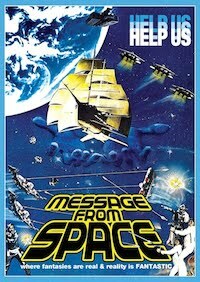 Tokyo Broadcasting System's supplement on the July 17th premiere! HAPPY BIRTHDAY, SATOSHI "ULTRAMAN" FURUYA! 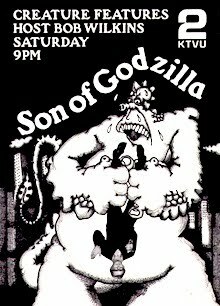 At a fit 73, Satoshi "Bin" Furuya still has the right "Ultra Stuff"! 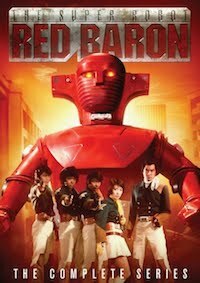 On the eve of the 50th Anniversary of the seminal ULTRAMAN series, read more about the man who played the red and silver hero from the stars, here! This July 15th-17th, Mr. Furuya will be appearing at G-Fest XXIII in Chicago, along with his co-star Hiroko Sakurai, who played Akiko Fuji. If you're a fan, its your duty to come by and wish Mr. Ultraman a very happy ultra birthday! Read about my thoughts on Mr. Furuya, here.